Other incidents in the latest report include shoplifting, a fight and online accounts being hacked. On March 9 at 8:25 a.m., Mt. Laurel Township Police say patrols responded to a hotel on the 3000 block of Crawford Place for the report of a criminal mischief. According to police, hotel staff reported that one of their guests allegedly “destroyed” one of the hotel’s rooms, causing approximately $20,000 in damage. Police say that Patrols spoke with a 21-year-old male guest from Baltimore, who allegedly admitted to destroying the room. Police arrested the male charged him on a summons for criminal mischief. According to police, the arrested male was released pending a future court date. On March 13 at 3:07 a.m., patrols conducted a motor vehicle stop on Route 38. During the stop, officers detected the odor of raw marijuana. A subsequent search of the vehicle revealed a quantity of marijuana. A 28-year-old male from Burlington was arrested. He was charged with possession of marijuana and released on a summons pending a future court date. On March 12 at 6:11 p.m., patrols responded to Planet Fitness on Route 38 for the report of a stolen wallet. The victim reports that her wallet containing credit cards and cash was stolen out of the women’s locker room. On March 12 at 8:41 a.m., patrols conducted a motor vehicle stop on Route 73 in the area of Church Road. 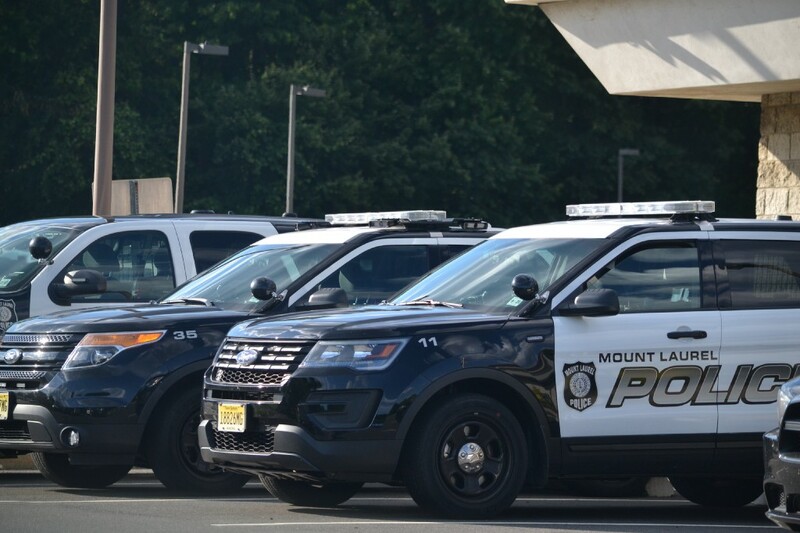 During the stop, the driver of the vehicle, a 35-year-old female from Camden, provided a false name to avoid being arrested for an outstanding warrant. The female was subsequently arrested and charged on a summons with hindering apprehension and motor vehicle violations. She was turned over to Evesham Police for an outstanding warrant. On March 11 at 4:52 p.m., patrols responded to Edinburgh Lane for the report of a fight in progress. The investigation resulted in a 31-year-old female from Kensington, Pa. being arrested for possession of a hypodermic syringe. She was released on a summons pending a future court date. On March 11 at 11:38 a.m., patrols responded to Whitechapel Court for the report of a criminal mischief. The victim/resident reports that sometime between March 10 and March 11, an unknown suspect keyed and slashed the tire of his vehicle. On March 11 at 1:27 p.m., patrols responded to the 3300 block of Route 38 for a fight in progress. Upon patrol arrival, all participants were separated. It was determined that a verbal argument escalated into the fight. An 18-year-old male from Willingboro was arrested for disorderly conduct. He was released on a summons pending a future court date. On March 9 at 3:04 p.m., patrols responded to the Target on Centerton Road for a shoplifter in custody. Patrols spoke with the loss prevention employee who advised that they apprehended a 56-year-old female from Mt. Laurel after she attempted to shoplift $142.72 worth of store merchandise. The female was arrested and charged on a summons. She was released pending a future court date. On March 8 at 6:04 p.m., patrols responded to the 7-Eleven on the 3000 block of Route 38 for a theft complaint. The victim reports that she used the ATM to withdraw $120. She forgot to take her money out of the machine after the transaction. She left the store for a short amount of time at which point she realized that she forgot her money. She returned to the store and her money was gone. On March 6 at 3:17 p.m., patrols responded to the Dollar Tree on the 3100 block of Route 38 for the report of a theft. The victim reports that while shopping in the store between noon to 12:30 p.m. an unknown suspect stole her wallet out of her purse while her back was turned away from her shopping cart. One of her credit cards was then used in Cherry Hill to make a $1200 purchase. On March 6 at 2:28 p.m. patrols responded to a residence on Sternlight Drive for the report of a fraud. The victim reports that she received a phone call from what she thought was Amazon in regards to an $800 charge. After exchanging some information over the phone, the victim hung up and called Amazon who advised that they did not contact her. She then logged into her Amazon account and realized that Amazon, PayPal and a Walmart account were all hacked. On March 6 at 8 a.m., patrols responded to the 300 block of St. David Drive for the report of a theft from a motor vehicle. The victim reported that he parked his vehicle in the driveway of his residence at approximately 8 p.m. on March 4. When he returned to the vehicle on March 5 at 8 a.m. he observed that an unknown suspect rummaged through the car. He reports $80 stolen from the center console. No forced entry to the vehicle was found.